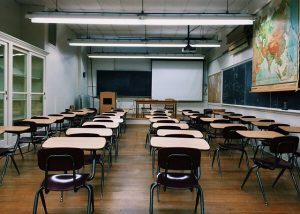 Top Design Tips for Designing an Educational Facility | Mahogany, Inc. The design of an educational facility often goes unnoticed, especially by parents. But to the students and teachers that inhabit an educational facility each day, the architectural millwork matters. The top concern when it comes to schooling is making sure that the students receive proper education that will motivate their critical thinking skills and even make them a valuable asset in society. The design of an educational facility often goes unnoticed, especially by parents. But to the students and teachers that inhabit an educational facility each day, the architectural millwork matters. Undergraduate students care about if their college or university looks outdated. Just as college students want an exciting looking dorm room, their entire environment is significant as they spend years growing at college. Teachers, especially veteran educators spend a large portion of their lives shaping the future of students. A uniquely designed educational facility helps students and teachers take pride in walking on a campus or high school grounds each day. Keep reading for some interesting tips on how to design an educational facility. When you add color to your architectural millwork, it fosters creativity. While it seems that color may be distracting, it helps to engage the brain. Did you know that many schools in France are colorful? And guess what? Their students thrive. Students often become bored by sitting in a hot, stuffy, classroom. Of course, you can open the windows, make sure that natural light is peaking into the room, and speak in an engaging tone. However, there are ways to design your campus or school grounds in a way that allows students to experience the outdoors. You can create outside classrooms with easy access to the indoors of your facility. If this seems outlandish, using plants in the school are a great way to remind students of nature. We live in a postmodern era, and yet some educational facilities have old designs. Also, some schools don’t do enough to commission their building to make sure it’s running efficiently. An old looking building, along with poor HVAC systems and electrical systems is a problem. Need inspiration? If you’re from the Maryland area or familiar with colleges in general, take a look at the futuristic architectural millwork for Morgan State University. This entry was posted on Thursday, April 4th, 2019	at 7:05 pm	and is filed under Millwork	. You can follow any responses to this entry through the RSS 2.0	feed. Both comments and pings are currently closed.